The Wittenberg Business Park is ready for occupancy. The Business Park consists of 72 acres with the front part of the Business Park, approximately 18 acres, ready for immediate development. All utilities are in place such as: fiber optics, cable, water, sewer, gas and electric. Curb and gutter has been installed; some roads have been paved. Land prices are very reasonable with credits available to offset the price! We have favorable tax rates. This means more money in your pocket and/or more funds available for your building project. Although lots are plotted on the business park map, they are just ideas that could be used. None of the lots have been surveyed; therefore you can determine what will work best for your proposed development. 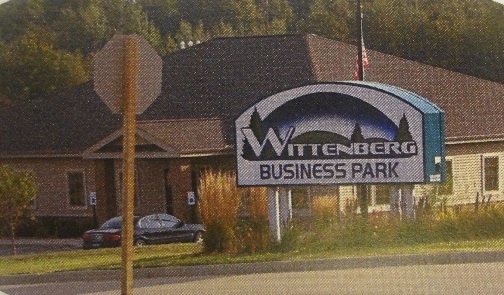 The Business Park land is to be developed to enhance the future growth of the Wittenberg Area. This development will include a general mix of industrial and commercial uses. the specific types of uses will be subject to the review and approval of the Village Board. Lots will be a minimum of one (1) acre. All development will be in compliance with the Village of Wittenberg Ordinances. The Restrictions and Deeds Document is available by contacting the Wittenberg Area Development Corporation at (715) 253-6063 or [email protected]. Industrial - Fabrication, Machining, Food Production, Food Processing, Manufacturing, Printing, Auto Body/Heavy Equipment Repair, Wood Products/Woodworking, Warehousing. A complete list of acceptable uses is available by contacting the Wittenberg Area Development Corporation at (715) 253-6063 or [email protected]. $10,000 per acre with a minimum assessed value of the development to be at least $300,000 per acre. No development will be allowed in the business park that does not return an assessed value of at least $300,000 per acre. Assessed development of more than $300,000 per acre will earn the developer a rebate of $1,000 per acre per $50,000 above the minimum. Creation of jobs will also earn the developer a rebate of $1,000 per acre per 5 full time jobs. Other financing available through two local lenders. Northcentral Technical College has a location in Wittenberg and will work directly with a business to customize a training/education program that meets the individual needs of the business.